Police in Point Pleasant Beach publicly said Tuesday that there will be a “very high presence” of law enforcement on hand Friday when thousands of visitors may descend on the town for a non-permitted beach party promoted on social media. 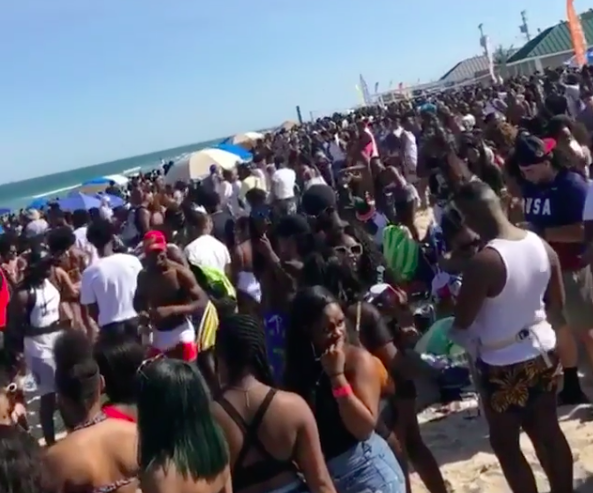 The announcement comes after a similar, massive beach party in Seaside Park and Seaside Heights erupted two weeks ago, resulting in over-intoxication and a number of altercations. Sources previously told Shorebeat that Point Pleasant Beach was the next planned location for a party, which has been promoted by hip-hop DJs through hashtags on Instagram and Snapchat. The Point Pleasant Beach party is rumored to be planned for June 29 from 12 noon to 9 p.m. The gathering in Seaside Park and Seaside Heights, which was dubbed “Beachnik” by organizers, was widely promoted via social media. The organizers, going by the names Tahmir and DJ Bake, did not apply for a permit for the event, and officials in Seaside Heights said they were researching legal options to charge them for the extra law enforcement and public works costs for security and cleanup. 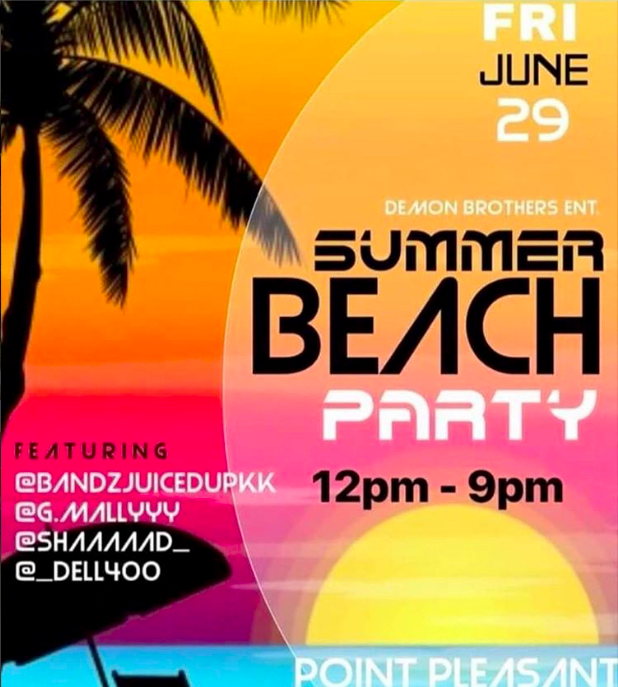 The latest party, according to an online advertisement, is being organized by “Demon Brothers Entertainment” and purportedly will feature a number of DJs. The promise of DJs for the Seaside Heights and Seaside Park event, however, was unfounded. “To ensure the safety of the residents and visitors of our town, the police department is taking every necessary step, and as a precaution, you should expect to see a very high presence of law enforcement on this date,” Michigan said. Despite the presence of just under 20,000 extra visitors, police in Seaside Heights said the number of arrests was not above normal during the event there.